some days my kids and i are hopping around from one place to the next – school, doctor’s office, grocery store, etc. and then other days we have absolutely nothing scheduled. on those days i’ve noticed we just kind of float around. i guess i’ll play with puzzles. i suppose i’ll play with my trains. maybe i’ll read a book. and it really makes for a boring day. it also results in a lot of “stuff” being strewn about the house from figuring out what to do, and at the end of the day it seems the house is a mess and nothing ever gets done! just like i have to plan out how i spend my time every day (laundry, cleaning, shopping, etc), i figured my kids could use the same sort of consistency! or at least some sort of idea of what they can expect out of the day. 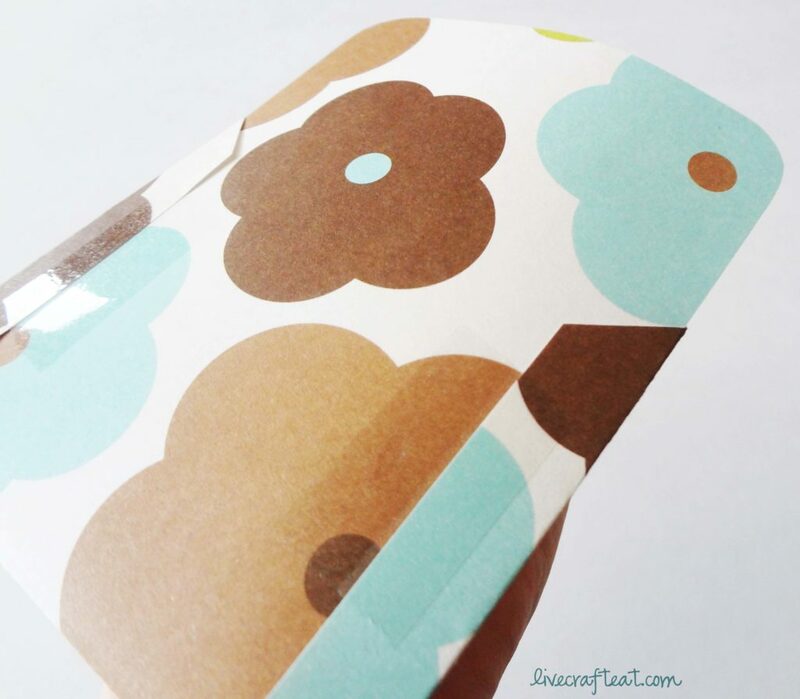 so i made them this fun little daily planner – just for them! how it works: on the right side, you’ll see these large wooden popsicle sticks. there are lots of ways to make these cuter, but for now, they’re just plain. 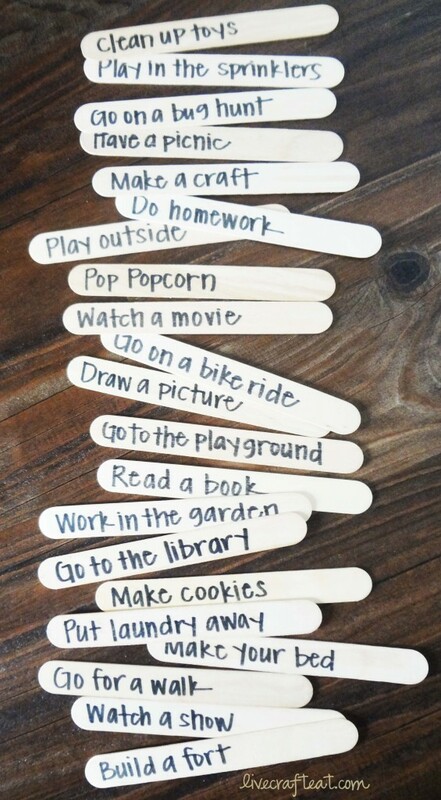 on each stick is an activity my kids can do – some of them involve me (ie baking) and other they can do themselves (ie play with cars). but not all of them are “fun” things – there’s also things like “make your bed” or “put away your laundry.” so why would they ever pick those ones?! well, it’s simple. the night before, mom gets to pull out 5 activities for the morning and 5 for the afternoon. if she’s got time to bake cookies tomorrow, she can include that. if she doesn’t, well, she just won’t include it. if she needs them to clean their room, then she puts that in as one of the activities they choose from. then the kids get to choose the order in which they do them! and since my kids haven’t napped since they turned 1, i’m all for movie time and other activities they can do on their own in the afternoon – mom needs a break! so those activities will always be in the afternoon box. 1. type out the words “morning” and “afternoon” (or AM & PM) on your computer in whatever font you want. 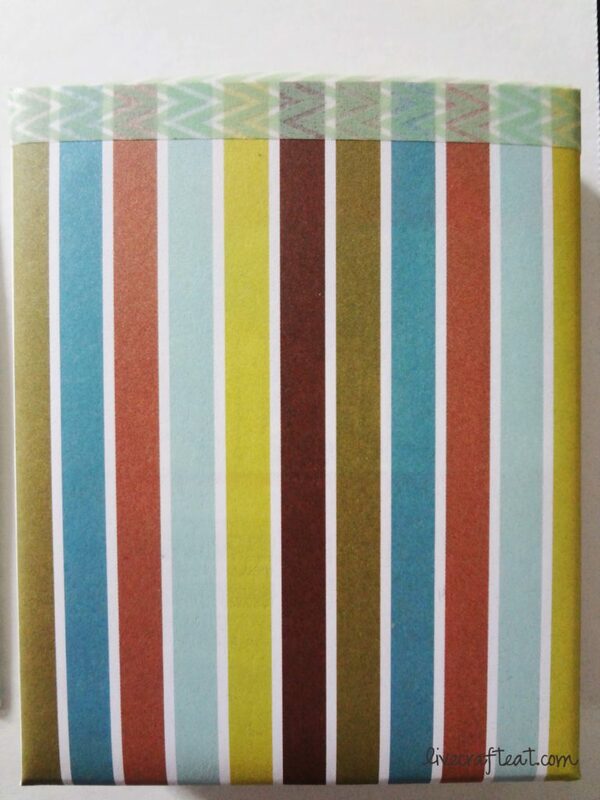 print out, cut out, trace onto patterned paper, and cut out again. 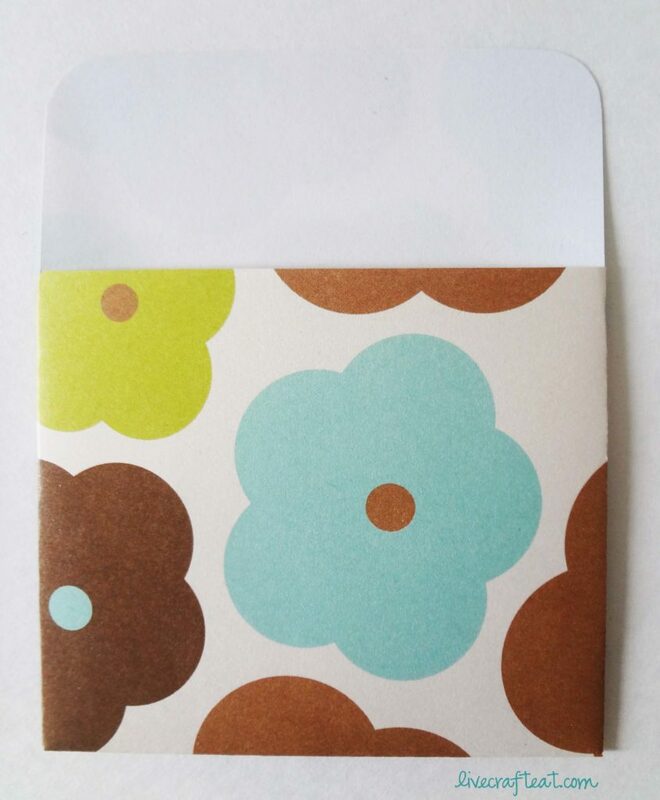 2. next, make as many of these library card envelopes as you’d like! i did 5 for the morning, and 5 for the afternoon. i figured that would fill up our day well enough. 3.you can use this template i made to make your own. download it here. 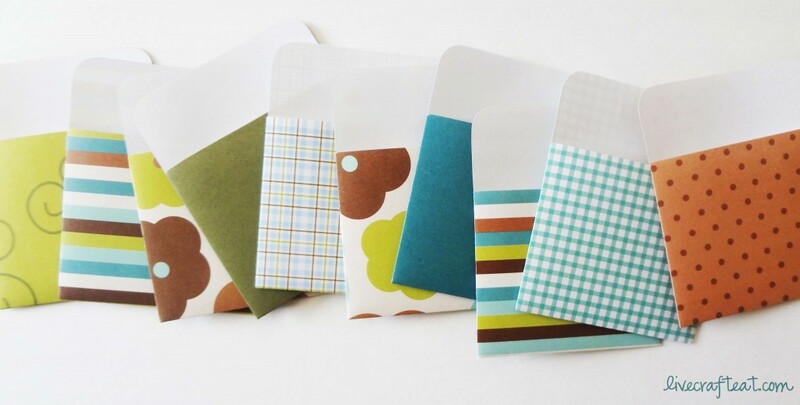 4. to make these paper library card envelopes, just fold along the lines, and tape (or glue) the tabs to the back. easy peasy. 5. and voila! 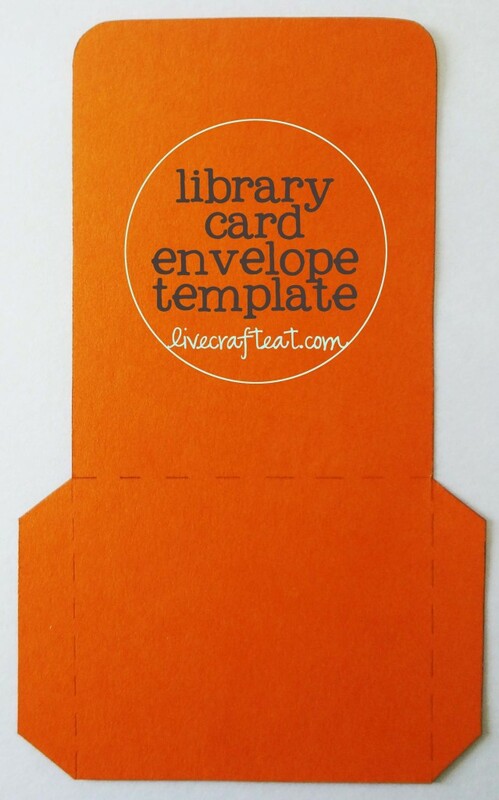 you have just made your own library card envelopes! 6. we’re almost done! 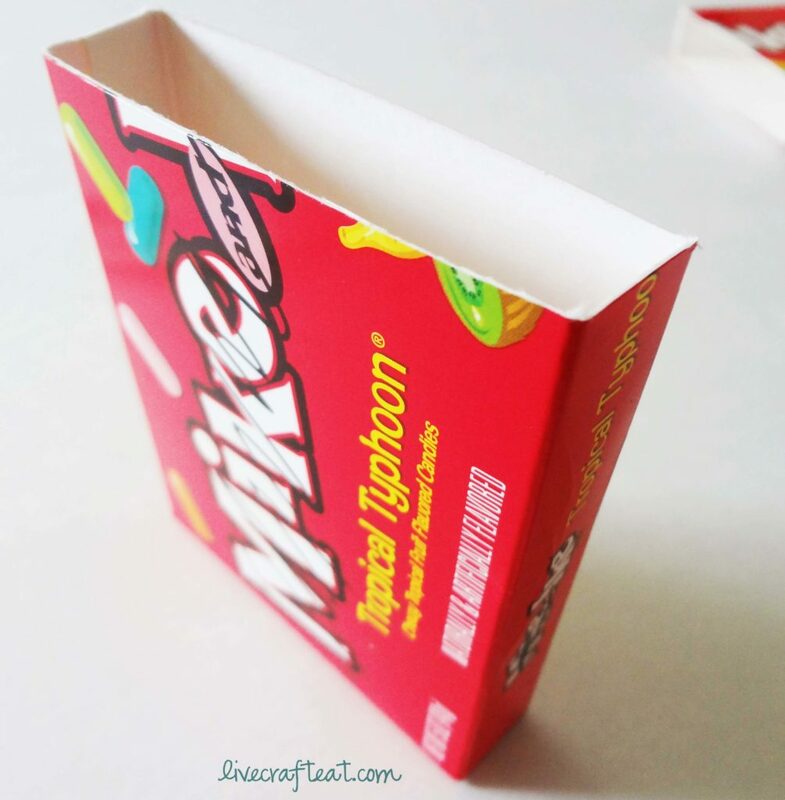 the next thing you’ll need to make are the boxes to hold the activity sticks. don’t worry, it’s super easy. and you get candy out of it, too! 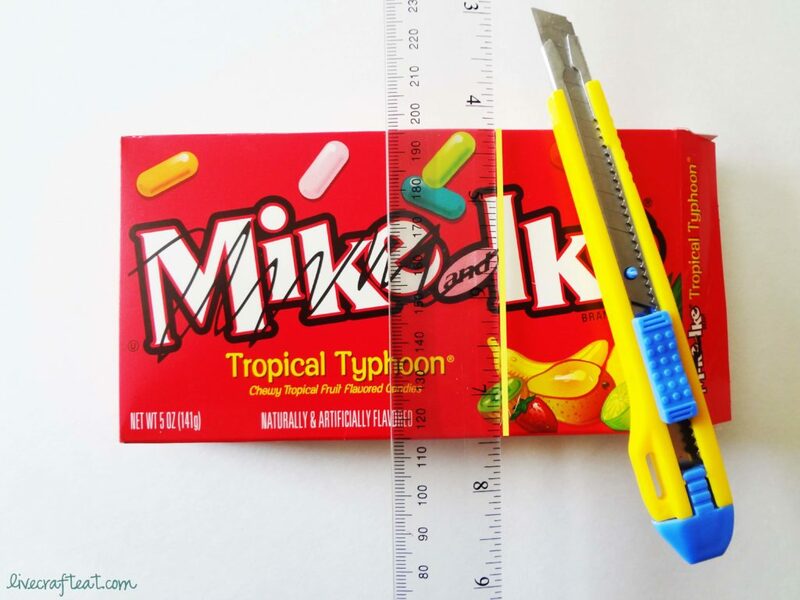 just take a mike and ike box, or any other theater candy box that’s approx the same size. 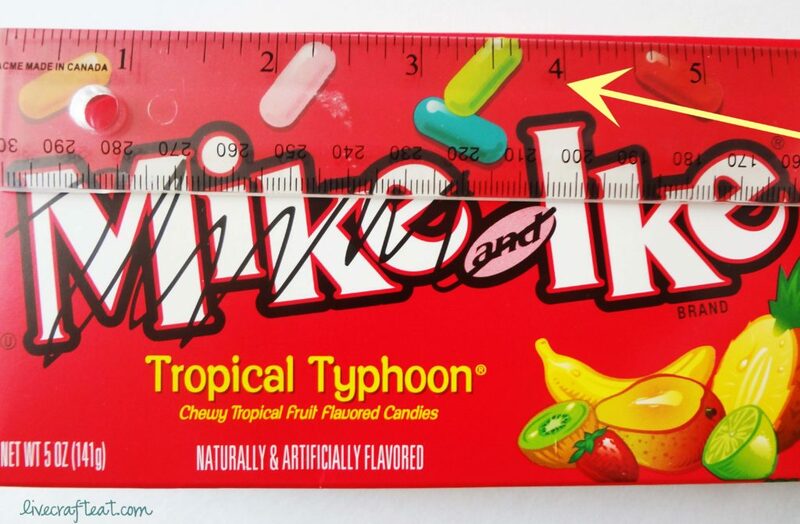 mark 4″ from the bottom of the box, all the way around. 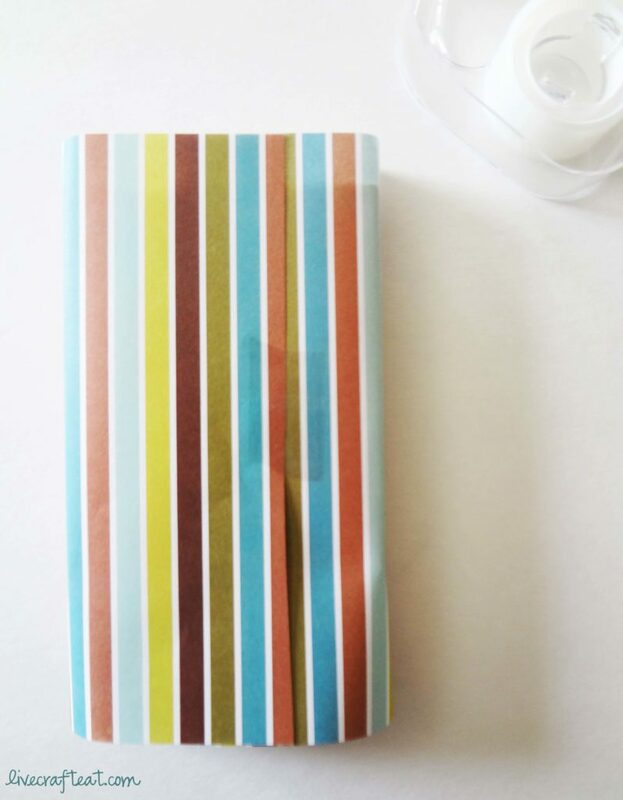 10. for the top of the box, you just need to trim the paper with scissors, and to keep it all together, use washi tape or masking tape, or scotch tape…whatever kind of tape you want! 11. now you’ve got everything made that you need and it’s just a matter of assembling! 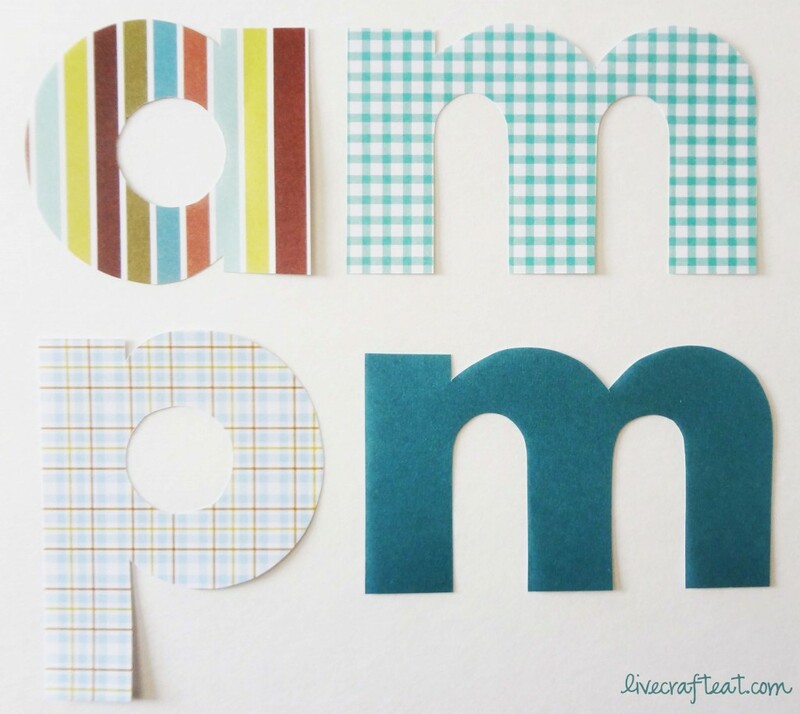 first, put your “am & pm” on the left side of a poster board or foam board. by the way, i used double-sided tape to attach everything to the foam board. nothing fancy, but it works great! 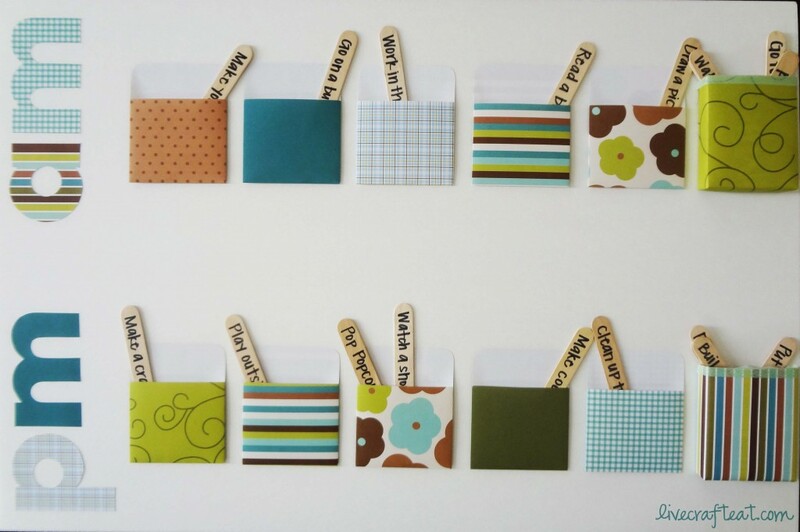 12. then arrange your cute library card envelopes how you want them and tape them to the board, too. 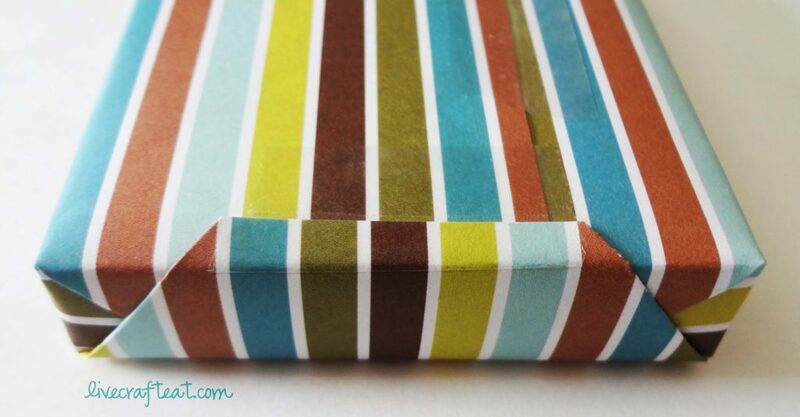 13. on the right side of the board, tape those fun boxes you just made. 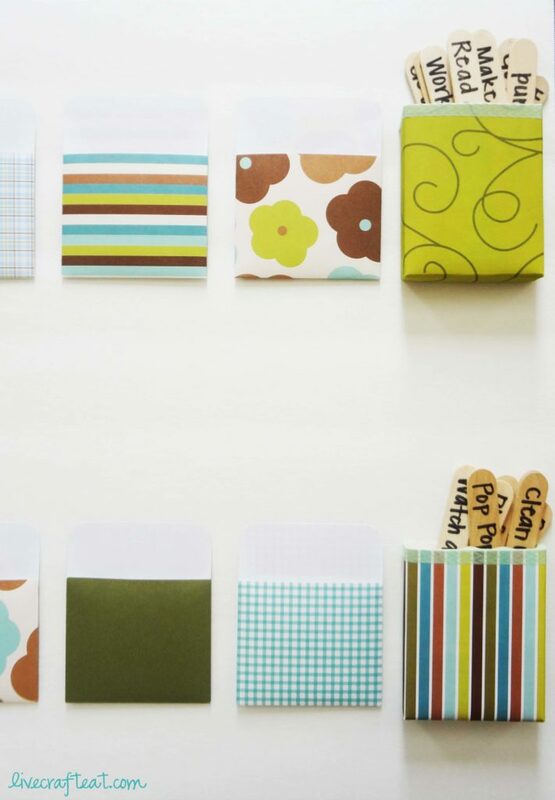 14. now the last step is to make up some fun activities to put in your boxes! 17. let them pick the order in which they’d like to do their activities. no more boredom!! and they know exactly what to look forward to in the day. and they’ll probably do their chores. it’s a win for everyone! « time is a gift. Absolutely! You could totally color-coordinate the sticks for each kid. 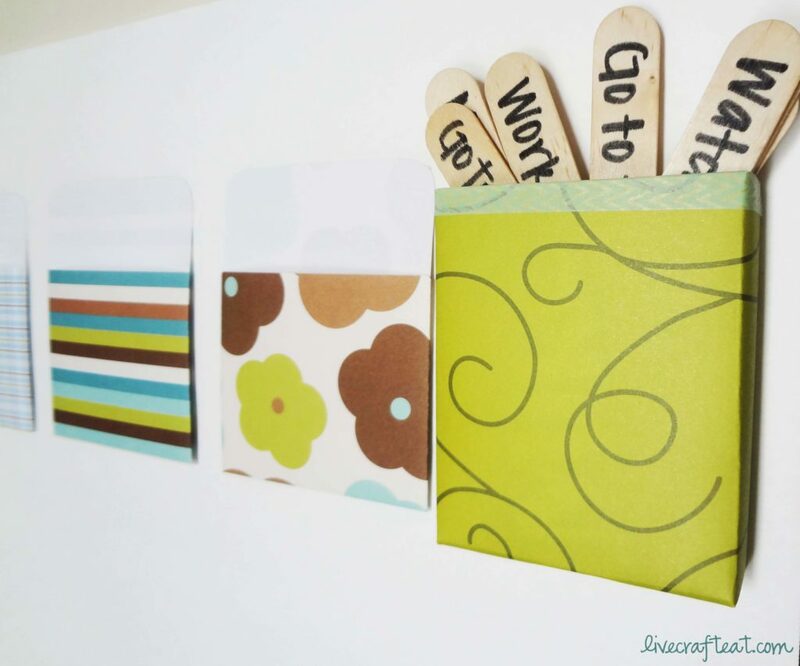 I’m thinking of mod-podging different-colored scrapbook paper at the top of each stick and then sanding it down a bit. Such great ideas. My oldest also needs something to keep her from being bored. Thank you! The more I think about this, the more I love it! 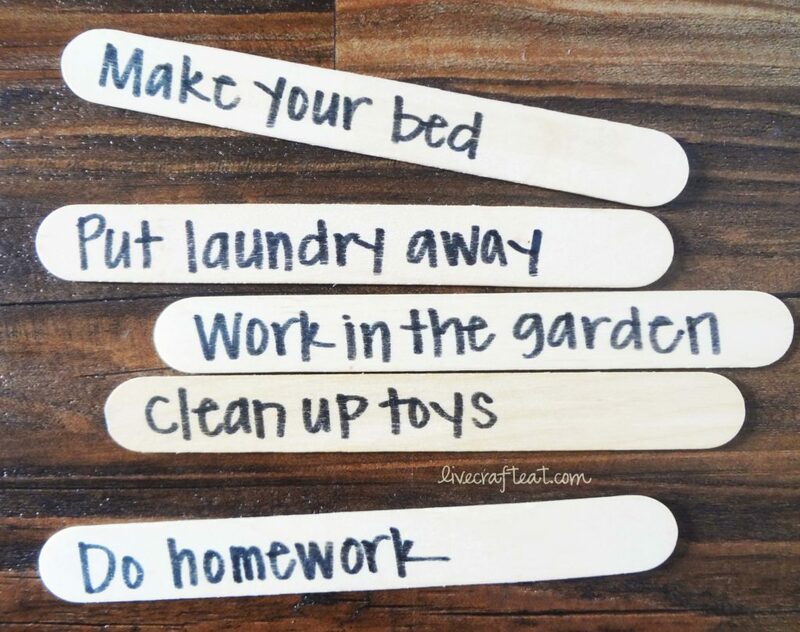 I can see my boys putting the “chore” sticks at the end of the day (duh), and then magically finding things to do on their own because they know what I will say if they complain about being bored. Thank you for sharing! I would add Work on a Puzzle, Play with Play-doh, Build Legos, Play a Board Game, and on and on, and I can’t wait to see what other people come up with. 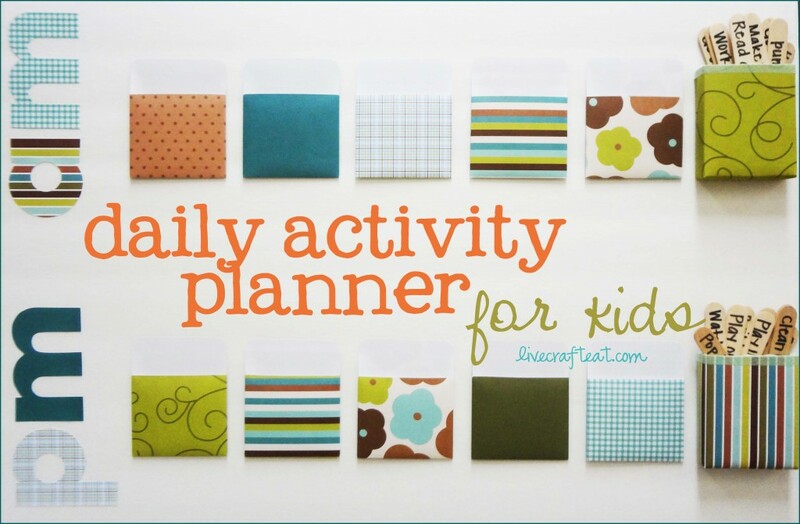 The past couple of summers, we’ve been loosely following a weekly “schedule” from here: http://www.somewhatsimple.com/summer-boredom-busters/ It would be super easy to incorporate each day’s activity into the daily planner. Thanks, Amy! Those are great ideas! I’m totally adding those to mine – thanks for sharing!! There just aren’t words for how much I love this! Thank you for sharing this great idea! This is also a great way to limit/monitor the “screen time” or time spent on electronics/technology. I don’t like to make computer, video game, or tv time feel like a bad thing. It’s a fun way to just relax, zone out and be entertained. I mean, I enjoy my favorite shows, so I feel like I’m being too strict when I tell the kids…NO tv tonight. Still, with all of that in mind, I’m always trying to strike a healthy balance; I’m always thinking….how else could we spend our family time together other than just sitting in front of the tv? 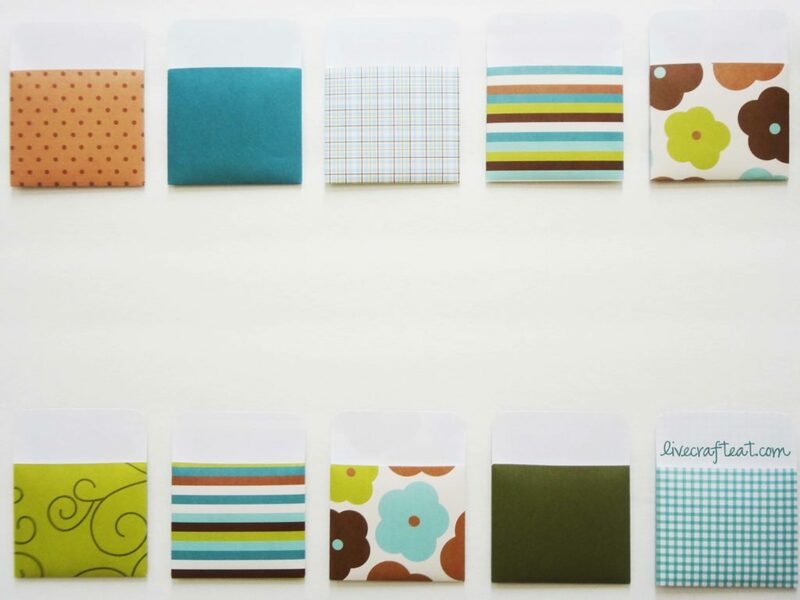 Having this stick/envelope system will give my kiddos plenty of choices, and but also keep them interested them in other pursuits that they love! I’m thinking that they can even earn tv/computer/video game sticks when they complete extra jobs that need to get done around the house, but just aren’t daily or every-week tasks (dusting the cobwebs, vacuuming, unloading the dishwasher, sorting & purging old toys for donation, etc). I totally agree on everything you just said! 🙂 And I love the idea for earning sticks for things like TV and computer time. Thanks for sharing! What a FABULOUS idea! And I came across it in such good timing…Spring Break! 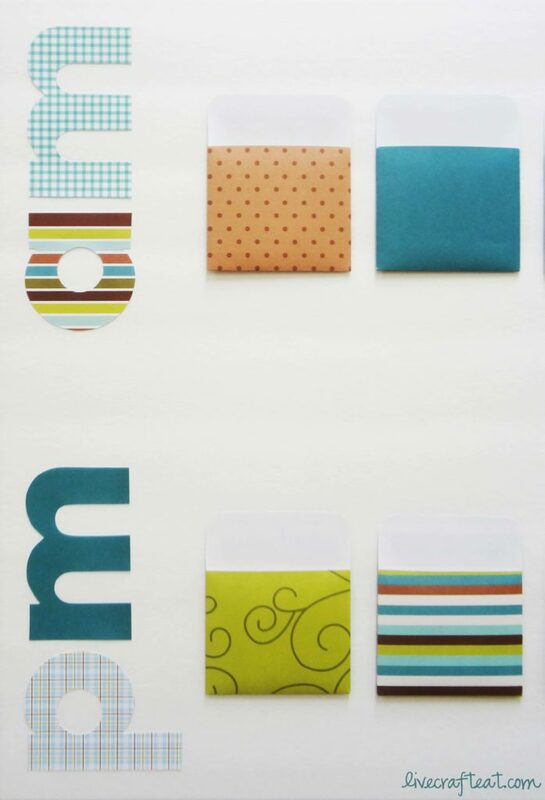 I will have the three kiddos (ages 8, 10, and 14) make the sticks and pick their paper colors tomorrow. While the 14 year old may choose to opt out (he struggles with reward systems and chore charts at his age, lol), I think this may just be the ONE thing that will work for the whole house! From a former teacher who’s had 10 years of classroom experience, many, MANY thanks! Cathy! Thank you SO much for your sweet, sweet comment. It made me smile 🙂 I’m so glad you like it!! This is such a cute idea. I do something similar with my kids, but it just has plain popsicle sticks in a cup. It looks pretty boring. I might have to make it a bit cuter, now that I have your inspiration. My kids love dancing to music and playing with stickers. dancing to music & playing with stickers…great suggestions! thanks!! What size foam board did you use? By the way, love the idea! Super excited to put it to use! Hi Allison! The foam board measures 20″x30″ – hope that helps! I usually write a list of activities with children in the morning. We practice writing and by looking at the list they know what happens next. This is such a cute idea! And I love the colors you used! We may need to try something like this for those “blah” days. This is soooo cute!!! I could totally use this when I babysit my sister in the summer!! I love this idea so much and I know she will too!! Thank you SOO SOO much! !